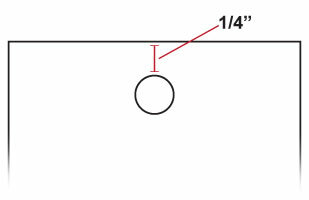 The most common order options are 2" x 3.5" on 14 Pt. Gloss Cover stock. Almost always, Hang Tags are printed in full color on both sides (4/4). For higher quantities and additional stock choices, please check out our 4-Color Offset Hang Tags.